Wayne Bryant is the Compliance & Ethics Officer for Alliance Spine and Pain Centers. He is an accomplished Compliance Officer with over 30 years of Healthcare Compliance and operational implementation, management and governance for corporate, government, and private practice settings. He has a proven ability to identify and prioritize business needs, efficiently resolve complex issues, and achieve results. Before joining Alliance Spine and Pain Centers, Wayne was the Ethics & Compliance Officer for National Cardiovascular Partners as well as Fresenius Vascular Care which provided vascular services to over 160,000 beneficiaries. Wayne demonstrated an impressive account implementing and executing compliance programs to minimize risk and align business operations and financial activities with laws, regulatory mandates, and organizational policies. He combined his healthcare operations and compliance leadership experience to provide seasoned, real-world solution towards managing healthcare/ASC vulnerabilities and strategically safeguarding an organization from risks associated with noncompliance. Wayne also served as the Compliance Officer for Fresenius Medical Care’s Southeast and Mid-Atlantic Group’s which consisted of over 450 dialysis centers and acute hospital programs. He was recognized for decisions and advice based on technical expertise, thorough preparation, and good judgment. Wayne is an enthusiastic team player with the ability to focus on both the details of the situation and the broader implications. 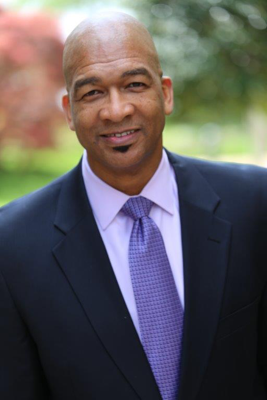 Wayne holds a Masters Degree from Ashford University in San Diego, California in Business Administration, a Bachelor Degree in Healthcare Administration from Saint Leo University and is also a veteran of military service having served over 20 years the United States Navy.